Sue Johnston is an English actress. She is best known for her role as Barbara Royle in the BBC comedy series The Royle Family, for which she won the 2000 British Comedy Award for Best TV Comedy Actress and was nominated for the 2000 BAFTA TV Award for Best Comedy Performance. Sue is also known for her roles as Sheila Grant in the Channel 4 soap opera Brookside, Gloria Price in the ITV soap opera Coronation Street, Grace Foley in the BBC drama Waking the Dead and Miss Denker in the ITV drama Downton Abbey. In 2011, she released a memoir titled Things I Couldn’t Tell My Mother. Born Susan Wright on December 7, 1943 in Warrington, Cheshire, England, UK, to parents Margaret Jane Wright and Fred Wright, she grew up in Prescot, Merseyside. She was educated at Whiston Infants School, Eccleston Park Junior School and Prescot and Huyton Grammar School for Girls, and attended the Webber Douglas Academy of Dramatic Art in London. She made her television debut in 1982, with a minor recurring role on Coronation Street. She was married to David Pammenter form 1976 to 1980 and Neil Johnston from 1967 to 1969. *She was born on December 7, 1943 in Warrington, Cheshire, England, UK. *She trained at the Webber Douglas Academy of Dramatic Arts in London. 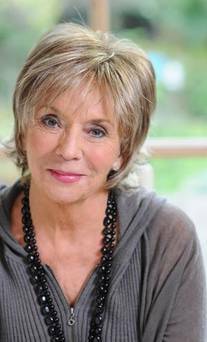 *She was awarded the OBE in the 2009 Queen’s Birthday Honours List for her services to Drama and to To Charity. *She used to work as a tax inspector before becoming an actor. *She is a longtime friend of Pete Postlethwaite. *She is good friends with Elizabeth Dawn. *She is a supporter of Liverpool F.C. and Warrington RLFC.